Everyone has his own reason to jailbreak iOS device and it is not a big deal for the old idevices. Yet, things are different when it comes to iPhone 6S/Plus jailbreak, for various rumors say that some rootless technology is used by Apple into iOS 9 to keep idevice unjailbreakable. Is it true? Give a grain of salt to this given. And no matter what, if you insist on doing so, you can find the effective solutions and tutorials leaking out from the technical genius. Make a Backup of iPhone before Jailbreaking! MacX MediaTrans is a professional iPhone transfer tool to backup all data from iPhone to Mac with the fastest speed. It makes things easier for later iOS data recovery. As the old saying goes, where there is a policy, there is a countermeasure action of the policy. This time, Apple adopts the so-called "rootless" tech to cope with iOS 9 jailbreak, while TaiG team takes "rootless" tech to skip rootless kernel level security. No wonder Mr. Xie Lei, CEO of the TaiG team, had published a blog post, pointing out that he was very confident to deal with the task (even iOS 10 jailbreak on iPhone 7/6S Plus). 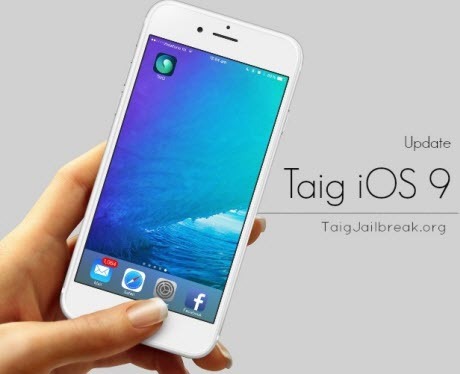 Considering the successful iOS jailbreaks in the past from TaiG team, we have sound reasons to believe it will surely come out soon. This article will keep updating to provide you with the latest trend of iOS jailbreak as well as iOS problems after jailbreaking. If we regard TaiG as the tycoon in the iOS jailbreak field, it's not exaggerating to say the uprising Pangu is the new king in this community. 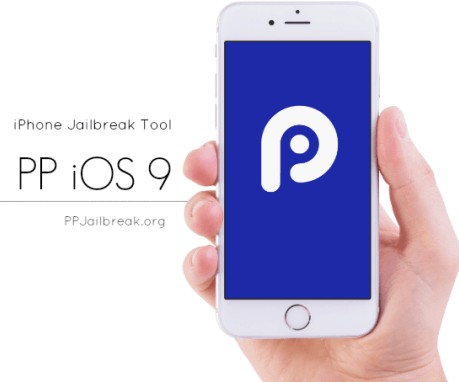 Pangu, whose Pangu 8 played an excellent match, now also pulls out all stops to jailbreak your iOS 9 with its upcoming Pangu 9, which is not far from release. And until now, there are exactly two methods to download Pangu for iPhone 6S/Plus jailbreak. 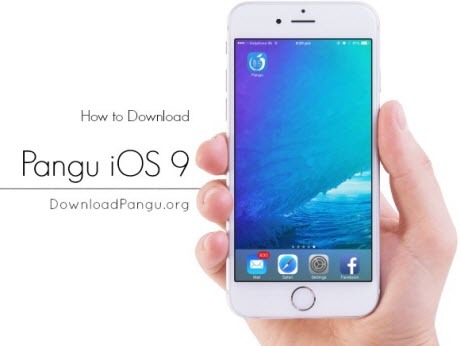 Method 1 : Directly free download Pangu 9 without the help of Mac/Windows PC. Plus, the working internet connection is a must-have, which is the key to give you access to Download Pangu. And this conduct is completely reversible and makes no impact on your iPhone 6S iOS 9 device. Method 2: This is a dedicated untethered jailbreak software that requires a Mac or a Windows PC to install. You'd better to resort to iTunes to backup your iPhone 6S data before downloading Pangu 9 lest your data is accidently missing or something alike. PP team, might not be so famous as TaiG or Pangu, but is definitely a mentionable iOS jailbreak tool. The growth of PP team is not quite smooth. See, when PP team released PP jailbreak for iOS 8.3, it instantly became the public spotlight, alongside with much criticism on being a copy of TaiG. The good news is that, instead of being haunted by the endless arguments, PP team pulls its forces together to first release the iOS 8.4 iPhone 6(Plus) in a few hours. All these make a very clear point-PP team is a strong yet professional team for iOS jailbreak. Though right now, PP team keeps silent about the latest iPhone 6S jailbreak on iOS 9, but we believe PP team has enough potential to surprise us with this feature. 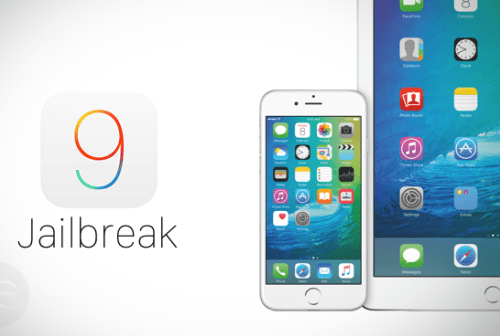 Step 1: Google "iOS 9 jailbreak" using Safari on your iOS 9 powered iPhone 6S/6S Plus. Tap the "Jailbreak iOS 9 - Pangu8" page on the results. Step 2: Followed by the click on "Jailbreak Now" blue link to start the process. Step 3: Agree to continue the process. And it takes few seconds to complete. Don't exit from the browser during the process. Step 4: Install the app on your iOS 9 iPhone 6S/Plus after being redirected to the installation page. Step 5: Complete the installation of vShare app manager using SemiJB app. However it will not work on your iOS 9 device after the installation. Then go to settings > General > Profiles on your iOS 9 device. You can find the profile as the "Guangdong Also Group Co.,Ltd". Tap it to open. Then Tap the "Trust Guangdong Also Group Co.,Ltd". Then popup message will open. Just tap the "trust" link. • Security Features in iOS 9 Loss - once you jailbreak your iPhone 6S, you would say goodbye to the new iOS 9 security features, such as 6 digit pass codes and 2 factor authentication. And the "effective power Arabic character" bug is also fixed in the improved iOS 9. All these have nothing to do with you. • No Improved Battery Life - building on the feedback of iPhone 6/Plus poor battery, Apple makes great improvements on iPhone 6S/Plus battery life. First of all, redesign the whole OS and main apps to save iPhone 7/6S battery energy. Also the iOS 9 iPhone 6S adopts much more powerful battery to prolong iPhone 6S battery life. You could use jailbreak tweaks as BattSaver to save your battery, But iOS 9 really save your battery than BattSaver. • Fail to Enjoy Special Changes in iOS 9 - the biggest change in iOS 9 goes to the Android to Apple device transfer feature, which is also called as Android sync feature (Move to iOS App download) to let Android users easily convert to Apple, including transfer contacts, messages, videos, pictures, mail accounts, social data and everything on the Wi-Fi condition. There is no any real alternative to sync iOS with Android. • Backup Photos: Transfer photos from iPhone iPad to Mac as a backup. 8 secons only for 100 4K photos. • Manage Music/video: Import/export music and video between iPhone iPad iPod and computer. create/delete/edit playlists with music info under control.